“Equity” is another word that means the same as “stock”- which means that when you own it, you are owning a percentage of the company (the percentage of how much of the company you own depends on the number of shares you buy over the outstanding shares issued). Most of us know that public firm’s equity can be traded in the stock market – in such cases, shares ownership is usually held by a large number of people. 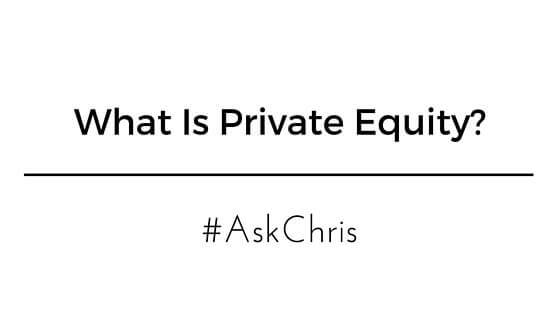 Private equity is different: It is the buying of private firms that is not publicly traded in the stock market – usually done by a private equity firm which establishes the funds to buy multiple businesses, with the goal of selling it a higher price than when it was bought it within a few years (usually 7-8 years). There are a lot private equity firm around the world- the more established one would be The Carlyle Group from Washington DC and Kohlberg Kravis Roberts and The Blackstone Group from New York City. These three companies are the largest in the world in terms of Private Equity capital raised from investors. If any of you is looking to go for a career in the private equity sector, these three companies are the one you should aim for! I have been told that private equity firm typically looks for company to invest that has the possibility of them getting 500% return in 5 years. This is because in private equity, risks are high and most companies declare bankruptcy- that is why they will be very careful about the company they choose to put their money in. Will the company still be relevant in 5 years time? Is the management really good at what they are doing? Do they have past experience in building a successful company and profitably exiting from it by selling it to a bigger company or through initial public offerings (IPO)? Private equity is gaining popularity in the recent years for high net worth individuals – people with a higher appetite for risk and who wants to invest in businesses in their own sectors. The overvaluation for the businesses in the stock exchange is also a contributor to the trend – when the stock market is overvalued, people will rather put their capital elsewhere such as in private equity. To be fair, public companies in the stock exchange still offer investors more access to information and knowledge which are required by law to disclose – unlike private companies. High net worth individuals = A person with high net worth and having investable capital of at least $1 million.